Vast, crowded, and exuberant, Bangkok is a city of fantastic contrasts. 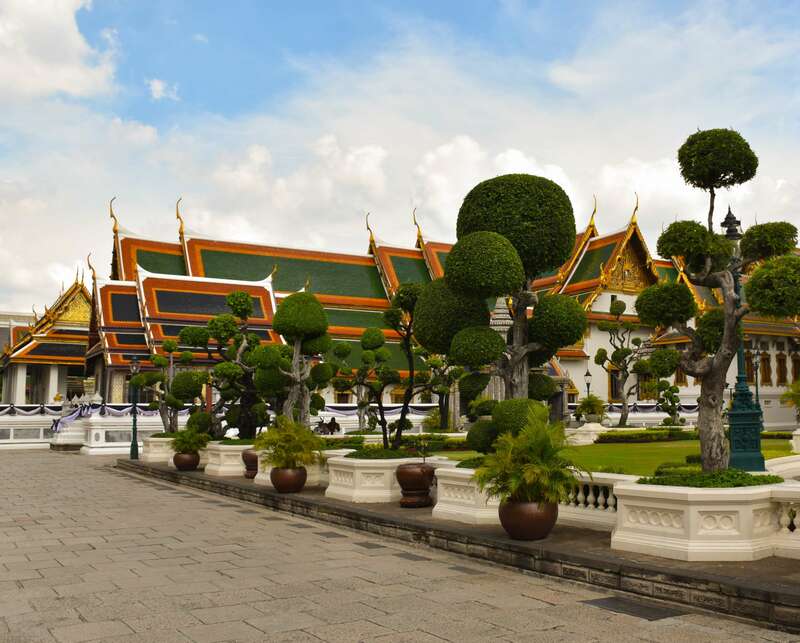 Bangkok, Thailand's cosmopolitan capital, is a striking combination of tradition and cutting-edge modernity. Its shimmering skyscrapers, shopping malls, and elevated walkways stand in sharp contrast to the narrow alleyways and gilded temples of the historic district. A 21st-century metropolis that has boomed for the past quarter century, Bangkok teems with people, culture, shopping, art, and food markets, many of which feature inventive, distinctly Bangkok-style takes on Thai delicacies. Immerse yourself in Bangkok's effervescence with Context's private and semi-private guided tours. Our Bangkok private and semi-private guided tours are led by journalists, food writers, historians, political scientists, and other local experts. Coupled with our private and semi-private format, they are designed to provide an alternative, deeper approach to Bangkok sightseeing. First-time visitors will want to consider joining our introduction to Bangkok City Tour including Wat Saket (the Golden Mountain), which combines a sit-down orientation with a local with a short, informal stroll of the city. Some of our most popular private tours in Bangkok revolve around food. (No surprise there!) For gastronomes we offer our Bangkok Food & Night Markets Tour, which visits local markets. To dive a little deeper, visitors might think about joining either our Bangkok Skytrain Tour, which explores the urban boom of this city, or booking a Custom Private Bangkok Tour.